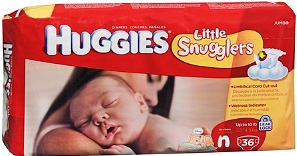 There is a great deal on Huggies diapers and wipes that will be starting on Sunday (1/20) and I wanted to fill you in on the details, so you can print the coupons now. 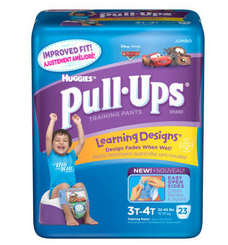 You will get a FREE package of wipes when you buy 2 jumbo pack of Huggies diapers or Pull-Ups. I have a $1.00 off Huggies wipes I printed off awhile back, can I use that with this too? I don’t believe it will work, since the wipes are already free. If you want to give it a try and see what the cashier says, you might want to do that. I was able to use my wipe coupons. So I got two packages of the Snug and Dry and two packages of the LIttle Movers Slip-On diapers(which were included in the sale and I had $2/1 coupons for), 2 packages of wipes and I paid $23.96 total. There are tons of pullups house parties going on right now (today was the official day). If you can find someone who scored a party pack, the coupon books have several coupons for $3 off pull ups. Sweet deal! There were 10,000 host spots, so if you ask around you should be able to find this coupon.